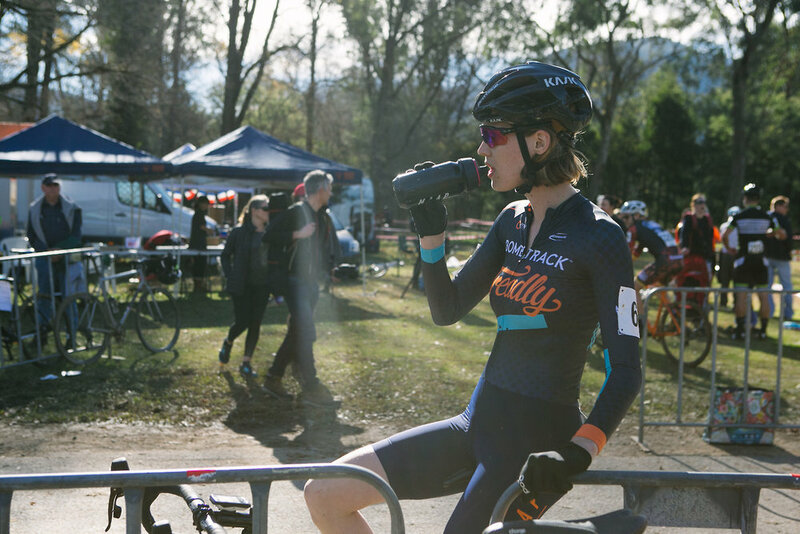 "I travelled interstate this past weekend to race the first race of the Australian National CX Series with a bunch of teammates and general mates. 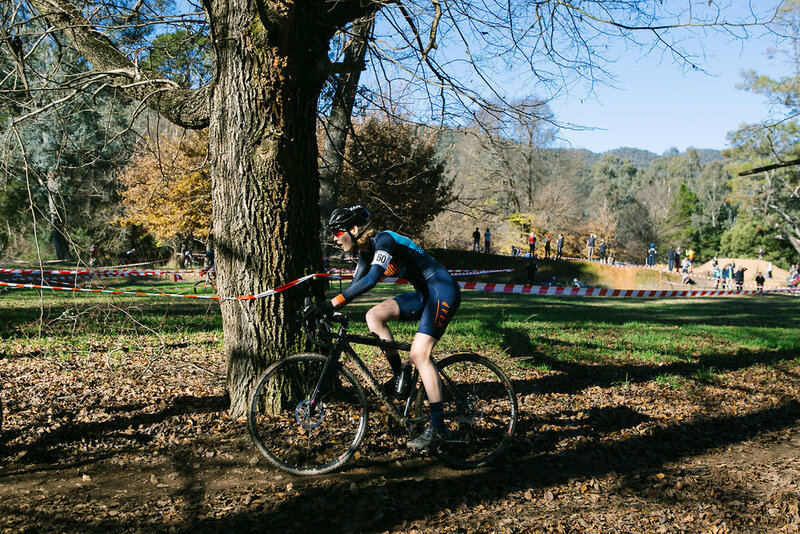 On Saturday was a state series race that we couldn’t get any points from, and then Sunday was a national round that was the main reason we had travelled over for. This was the first Elite race of the season. Last year was my first season racing Elite, thrown in the deep end after racing 1 (one!) A grade race. 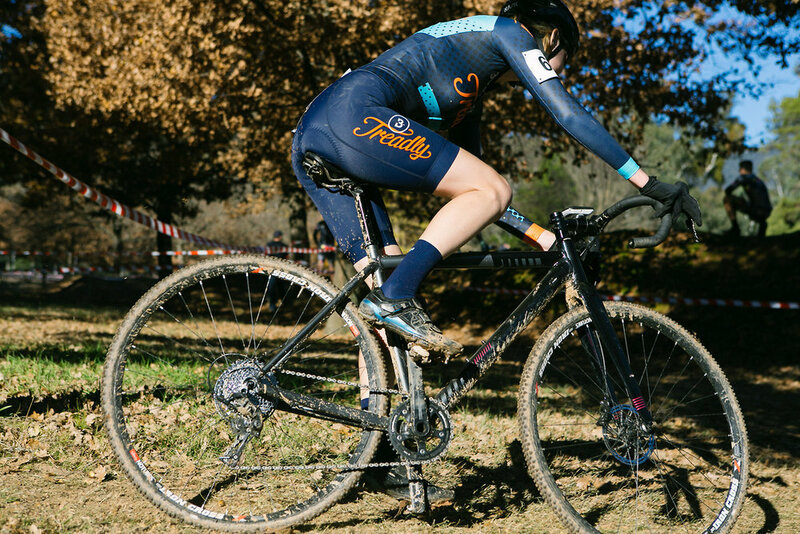 New year, new team, new team bike, new team skinsuit, and new anxieties about my place racing elite. I’ve always tried to be honest about the racing process and how I work through it, and will be putting some writing together about this year. In summary, it was a fantastic weekend. We were blessed with ice cold sunshine and rad course conditions. The women’s field has nearly doubled from last year and is SO strong. 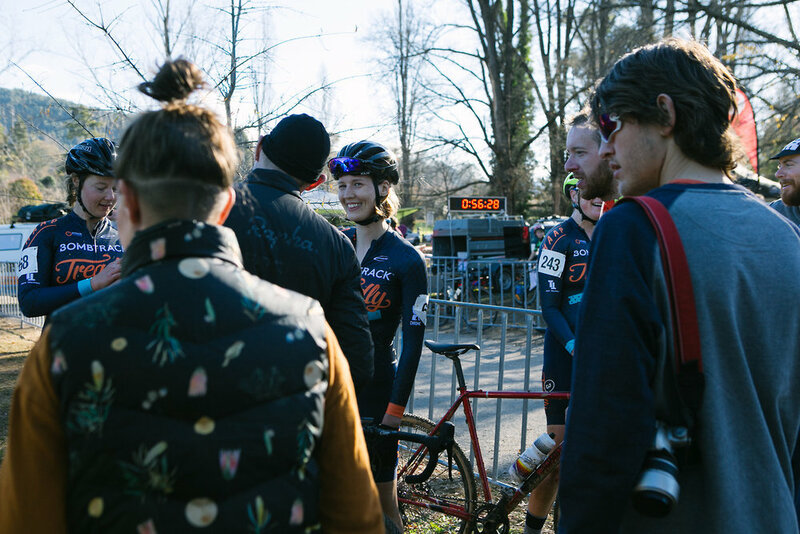 Sunday’s Elite race was an absolute blast, I held some wheels, dropped some wheels, and fought for my position all race and proved I earned it winning a sprint finish, even if it was for 16th place (I don’t think I’ve ever sprinted before, I didn’t think I even could!) I discovered my heart rate when standing on the start line is over 140bpm, I’m learning to rip the corners, I’m the least smooth at riding the pump track, and I’m still awful at post race nutrition. Here’s to the rest of the year of racing! " Photos by Jake Thomas and Genevieve Devereaux! Note: This post originally appeared on Lana's personal blog, here. Check out more of her excellent photo work there, in HD! Older Post#NEWKITDAY - THE TEAM SKINSUITS ARE HERE!